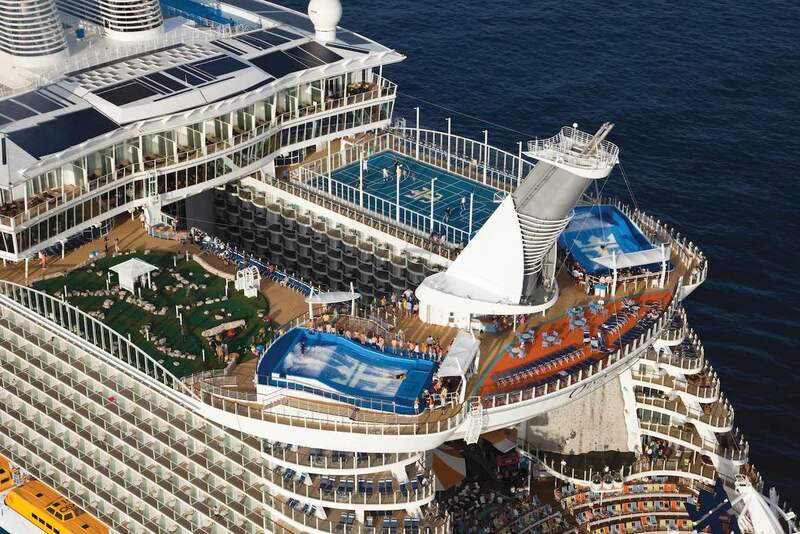 Home / Cruise Ships / Which Cruise Ships Have FlowRider? 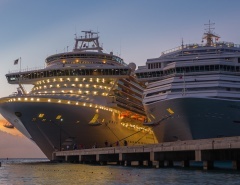 When planning a cruise vacation, a suitable itinerary and appealing destination remain the most important considerations; however, for those who are new to cruising or haven’t been onboard for a while, a lot has changed. 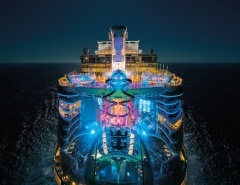 The competitive industry has resulted in cruise lines providing ever-new amenities and attractions to entice passengers – none more so than the FlowRider innovation on Royal Caribbean vessels. 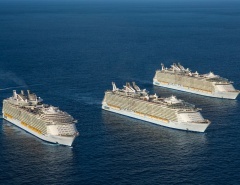 Researching a cruise has never been easier. Online resources highlight all the best attractions, bargains, and customer feedback. The FlowRider has garnered more than its fair share of reviews, with customers generally ecstatic about the experience. Opinion is divided however – and rightly so – as there have been serious and even fatal consequences of inexperienced riders jumping in, unaware of the inherent dangers. 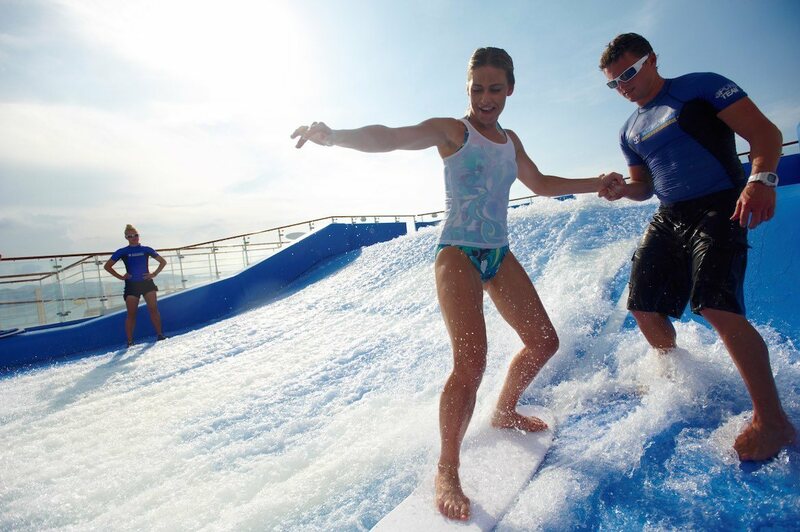 A FlowRider is a 40-foot-long surf simulator constructed on dry land, or in the case of Royal Caribbean ships, a free attraction located on the deck at the rear of the vessel. A FlowRider wave is formed by water rushing upwards at 40kph, mimicking the feel of the ocean surf. FlowRiders are perfectly safe when riders stay within their limitations of surfing experience. 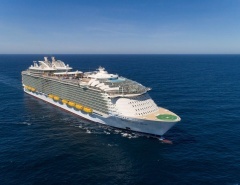 There are options for laying on a boogie board or standing on a surf board, and the opportunity to take lessons from the Royal Caribbean experts. The risk of injury on the FlowRider is heightened mostly by the fact that it is a very public entertainment where friends, family, and even complete strangers cheer the rider on. The natural response is to please the fans by showcasing your surf skills. Unfortunately, many riders have zero surf skills to show off, and the temptation to stand rather than lay is too great for some people. Although serious injuries are rare, they do happen. Passengers sign an “Onboard Activities Waiver” which means they accept any risk of accident as their own responsibility. The FlowRider is overseen by trained cruise ship personnel who are on hand to assist and make sure the rules are followed. Get a feel for the FlowRider as a spectator. It’s almost as much fun to watch as it is to experience. You will quickly learn how it is done properly. Start on a boogie board. The water is shallow and your fall will be cushioned. Get a feel for controlling the board. Only experienced riders should stand on a surfboard. Follow the instructions of FlowRider staff. They will teach you how to stay on the board and how to steer it. Be prepared for limited visibility. The FlowRider works by pushing water up hill to form an artificial wave, and the water will be splashing in your face. Wear a tight bathing costume. A lot of force is generated by the water in a FlowRider, so you may be more comfortable in shorts and a T-shirt rather than a bikini. Restrictions: Guests participating in the FlowRider must be at least 52″/132 cm tall to use the bodyboard and 58″/147 cm tall to use the flowboard. FlowRiding is a sport attracting talented surfers from around the world. There are prestigious competitions and even world-championships held every year at exotic locations. It’s a great way for a novice to get the feel for stability and motion on a boogie board before graduating to standing up on a surf board. 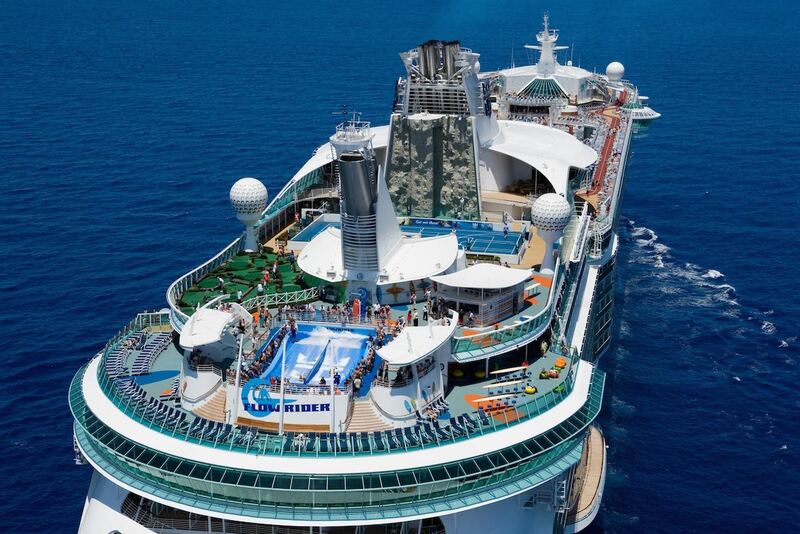 The enduring popularity of the Royal Caribbean Cruise Line has been enhanced by the FlowRider introduction which has quickly become a favourite onboard attraction. Considering that guests can ride the FlowRider as many times as they like for FREE, it’s no wonder the sport’s popularity isn’t waning. Passengers who wish to improve their skills can sign up for private sessions starting at $69 per person. Private lessons require a minimum of 4 persons. Meanwhile, guests who are already skilled at FlowRiding may rent the entire surf simulator for $345. Their party can use FlowRider exclusively for an allotted period of time. Staff will supervise but will not assist or instruct. If guests who wish to rent the simulator require the assistance of trained personnel, they may sign up for the $552 rental package. Here’s the official FlowRider page.